What could you make out of a pile of old junk? Rusty makes all sorts of amazing things! Just for starters there’s his robot dinosaur, Botasaur, and his mini robot buddies, the Bits. Plus, Rusty invents his way out of every challenge or jam by creating the coolest contraptions ever. Proof that one person’s trash is another person’s treasure! 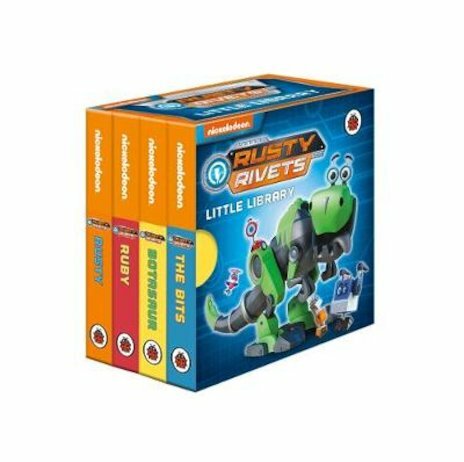 Find out more about Rusty and his friends in this smart box set of mini books. Simple words to read, bright colour pictures and lots of basic science. Perfect for bright sparks!